« What Ever Happened To Labour? It is a tragedy that we have this African culture of entitlement as opposed to the eastern culture of industriousness. The unions expect more jobs at higher salaries with no understanding of the consequences of their demands. Government officials feel entitled to raid the coffers and use the wealth for their own benefit. People who have had an education feel entitled to their knowledge and experience being used at the highest level. People with or without education feel entitled to jobs. 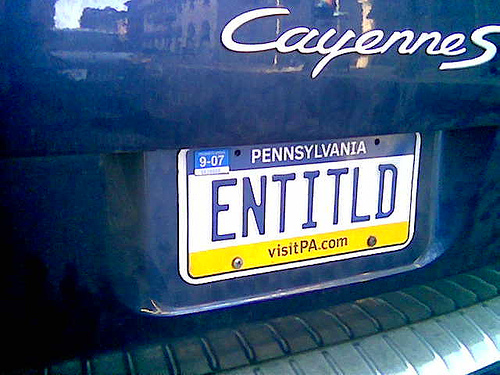 People feel entitled to houses, to free medicines, to handouts from Government or employers. The reality is that the only thing we are entitled to is an opportunity; thereafter we have to take these opportunities and make our own successes of them. I get particularly sad when I look at the current strike action and see this opportunity being denied. The children of South Africa who are being deprived of their opportunity to learn; the sick patients in hospital who are being deprived of their opportunity to health and the members of the government sector who are being deprived of their constitutional right / opportunity to not strike. Until such time as we all get out of this culture of entitlement and embrace a zest for industriousness, we are going to continue to wait for the things we want to happen. As cliched as it may seem, John F Kennedy’s words have never resonated more for South Africa, “Ask not what your country can do for you, but what you can do for your country.” Instead of asking what you are going to get, rather seek to find out what you can give. It is no surprise that industrious, resourceful people continue to find an abundance of opportunity both in good times and bad. It requires strong, heroic leadership from the top, but also from yourself. This entry was posted on September 9, 2010, 10:00 am and is filed under Observations, South Africa. You can follow any responses to this entry through RSS 2.0. You can leave a response, or trackback from your own site.